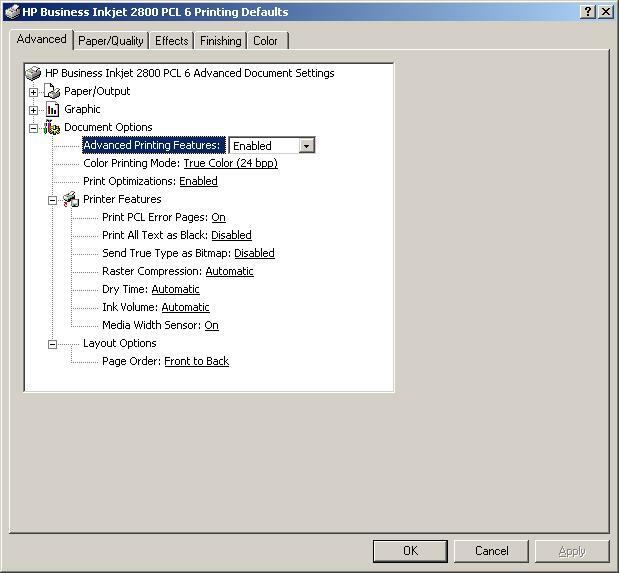 Right-click on the "HP Business Inkjet 2800" printer icon and select "Properties". Click on the Printing defaults button. Click on the Advanced tab on the new window that appears. Click on Page Order under Layout Options and change the setting from "Front to Back" to "Back to Front". Click on OK again to close the "Properties" window.